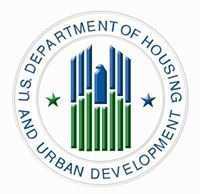 WASHINGTON – (RealEstateRama) — Pamela Hughes Patenaude is the new Deputy Secretary at the U.S. Department of Housing and Urban Development (HUD). 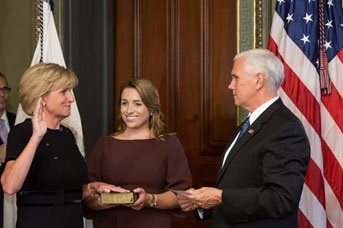 Following her confirmation by the U.S. Senate on September 14th, Vice President Mike Pence administered the oath of office to Patenaude yesterday evening. As HUD’s second-ranking official, Deputy Secretary Patenaude will lead the Department’s Disaster Management Group (DMG) and will play a primary leadership and operational role in coordinating the long-term recovery efforts following Hurricanes Harvey, Irma and Maria. 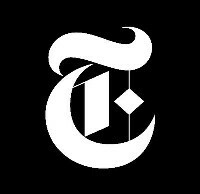 She will direct 16 program and support offices within HUD to help state and local governments design and execute their recovery plans to rebuild damaged housing, businesses and critical infrastructure. Deputy Secretary Patenaude has an extensive housing and community development background and served as HUD’s Assistant Secretary for Community Planning and Development during the George W. Bush Administration, providing leadership during the recovery efforts in the wake of Hurricanes Katrina, Rita and Wilma.